Are you stuck in Monterrey during this holiday period and wondering what to do while your friends are on the beach? Well, for all of us in the same situation, we are going to meet on Friday, 19 April at 21:00 at La Antojeria, Cantina de Barrio (Plaza XO) in San Pedro. It is a fairly new Plaza with good restaurants and definitely worth a visit also for future reference. 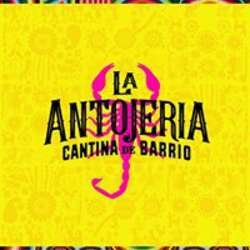 La Antojeria serves tasty Mexican food, delicious drinks and partying style DJ music, all taking place on a terrace with a nice view and chill weather. Don't miss this opportunity to meet fellow friends and global minds, greet the new members in our community and have some fun. As with all InterNations events, there is a suggested minimum consumption of 200 pesos, and individual bills will be provided, so everyone will pay for their own consumption. We suggest a 15% tip to the waiter for the service provided.